To service with excellence the needs of our community and the needs of our graduates by matching skills. There are very few decisions in your lifetime that are more important than the decision to enhance your skills. 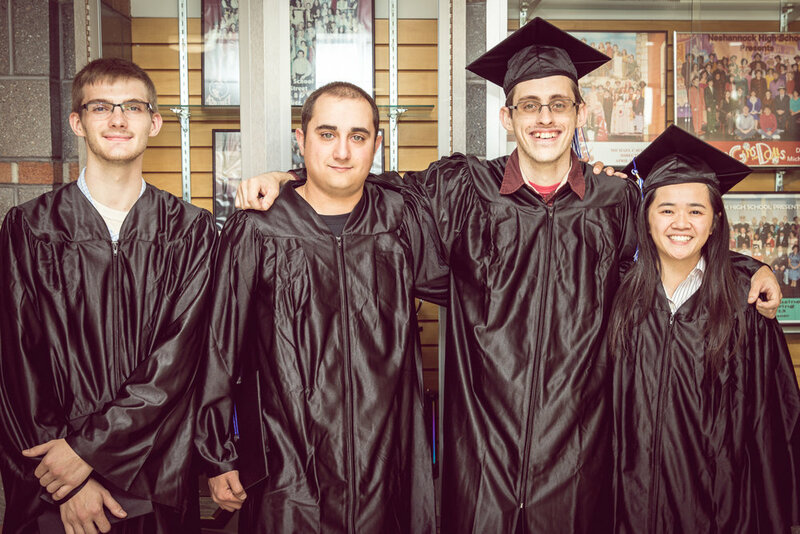 Since 1945, New Castle School of Trades has served the needs of our community and the needs of our graduates by matching skills. Emphasis is placed on Attitude, Attendance, Appearance, Academics, and Accountability. These “Five A’s” are the guiding principles that lead to the success of our graduates. Our training programs are designed to enhance your talent and provide the most direct route to your new career. The programs are practical and intense. They result in the attainment of viable measurable skills- skills you can use from the very first day of your career! We invite you to let us show you our commitment to helping you realize your dream. The New Castle School of Trades was founded in 1945 and has become a multipurpose technical and trade institution. Over the years, the school has moved from the era of educating competent tradesmen, through the phase of the more sophisticated and innovative craftsman, to today’s highly skilled technicians. In 1954, with the growing number of enrollments, the school outgrew its original location in New Castle and moved to Route 422 in Pulaski, PA.
During January 1973, the school was accredited by the Accrediting Commission of the National Association of Trade and Technical Schools, (ACCSC, formerly NATTS), Washington, D.C. and in 1982, the school was approved by the Pennsylvania Department of Education to award the Associate in Specialized Technology Degree in the Electrical Technology program. The latest Associate in Specialized Technology Degree programs offered at the school are Automotive Technology, Machinist Technology, Motorcycle & Power Equipment Technology, Refrigeration & A/C Technology, Building Technology, Industrial Maintenance with Wind & Solar Technology, and Diesel & Heavy Equipment Repair Technology. Along with the Associate in Specialized Technology Degree programs, diploma programs are offered in: Combination Welding, Commercial Truck Driving, Construction Trades, Industrial Maintenance and Heavy Equipment Operations with Commercial Truck Driving. In November 1988, the school was acquired by EFC Trade, Inc. Today, as throughout sixty plus years of operation, the programs continue to practice “hands-on” training and have produced thousands of qualified graduates for successful employment in business and industry. In July of 2011 the school moved to a new 93,000 square foot facility approximately 6 miles east of the previous facility. The school moved eight of the ten programs: Automotive Technology, Electrical Technology, Building Technology, Refrigeration & A/C Technology, Machinist Technology, Combination Welding, Commercial & Industrial Maintenance, and Construction Trades. Commercial Truck Driving, Heavy Equipment Operations with Commercial Truck Driving, Motorcycle & Power Equipment Technology, and Diesel & Heavy Equipment Repair Technology remained at the old school, which is now the Satellite Location. 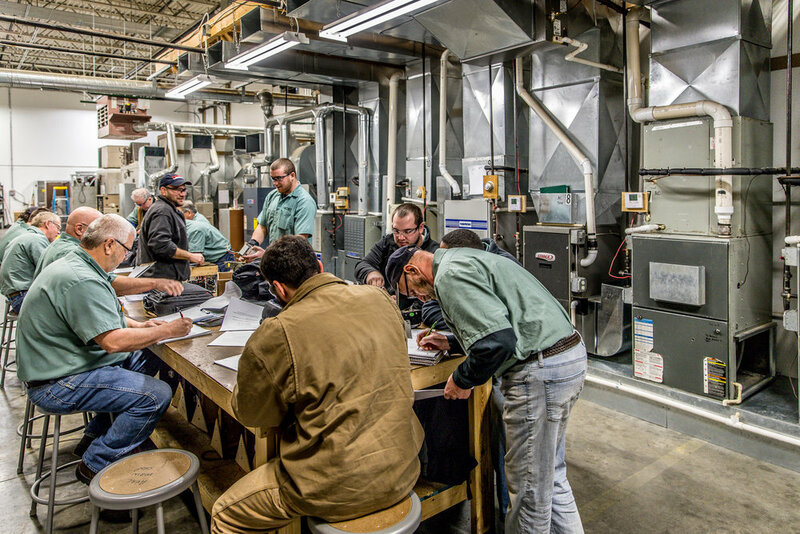 In 2016 the school opened a branch campus in East Liverpool, Ohio offering Combination Welding, Commercial Truck Driving, Industrial Maintenance, and Refrigeration & Climate Control.